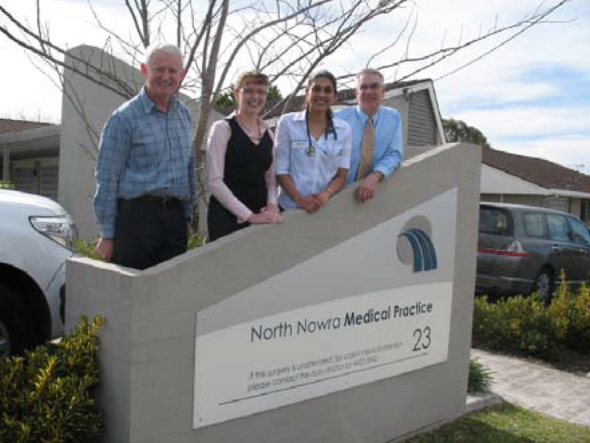 In July 2009 two GSM Phase 3 students were assigned to the North Nowra Medical Practice in the Shoalhaven to commence 12 month longitudinal community based placements. Students Melissa Hoffman and Monique Peris have been thrilled with their experiences so far. Phase 3 community based placements from a base in a General Practice, offers students a wide range of clinical and professional experiences including parallel consulting sessions twice a week and other opportunities to participate in patient care in the practice such as working with the Practice Nurse. It also enables students to participate in patient care outside the practice, learning from specialists and community practitioners in a range of settings. According to Melissa, “All of the staff at North Nowra Medical Practice have been extremely welcoming and enthusiastic about our placements, making it a great environment to learn in. The patients have also been very accepting and have been happy to have us involved in their care.” ”A long term clinical placement really helps to bring the books alive and working at the practice with such a diversity of patients means that I am learning a lot. We also have the opportunity to follow patients referred to specialists or to the hospital for further treatment, which is another great learning experience in terms of continuity of care and exposure to multidisciplinary teams” added Monique. The Practice has bought digital cameras for the students so they can capture and record their clinical experiences along the way. It enables them to photograph the progression of specific conditions or keep a record of case presentations that can later be used as part of a reflective or academic portfolio. Dr Michael Browne is very pleased about the way in which the placements are progressing. “After just a few weeks, our two Phase 3 students are finding their feet and becoming more confident in their role within our practice. 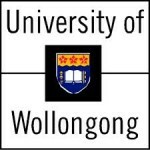 We enjoy having students and our recently expanded practice is proving to be a great place for teaching real-life Medicine.” North Nowra Medical Practice is committed to the education of current and future medical students and feels privileged to be part of the development of the next generation of doctors. “We are excited by the fact that we are able to teach students from the very beginning of their course to the attainment of medical qualifications. We are also looking at ways to effectively integrate the teaching of our postgraduate registrars and our Phase 1 and Phase 3 GSM students.